A Fan's Notes: Brian Wilson, "No Pier Pressure"
There are some people who think that Brian Wilson should be graded on a curve. Personally, I find that insulting, and I suspect that he would too. While artists may be proud of their legacies, the best of them want an honest appraisal of their work, not one seen through the prism of the past. So let’s get this out of the way right off the bat — No Pier Pressure is one of the best albums of Brian’s solo career, and compares favorably to any number of great Beach Boys albums. We’re less than 20 seconds in when we hear the first of those magnificent vocal harmonies that Brian seems to weave out of thin air. No Pier Pressure is full of them. So full, in fact, that I fear that people will think that the vocal magic that Brian has been blending for years is easy to create. Maybe it’s best not to overthink it and just let the harmonies wash over us, at the same time remaining aware of the genius that is at work. As you might imagine from the title, “What Ever Happened?” is a look back at a lost love. There is some fine vocalizing from Brian and Al Jardine, and David Marks breaks out some tasty guitar licks. If I don’t miss my guess, that’s Brian whipping out his legendary falsetto on the chorus. It all adds up to one of No Pier Pressure‘s best songs, one that’s very much on a par with some of our favorite Beach Boys classics. “The Right Time” has ‘hit single’ written all over it, or would if Top 40 radio was playing good music these days. There’s a great lead vocal from Al, with Brian jumping in on the undeniable chorus. “Don’t Worry,” another logical choice for a single, finds Brian entering Philly Soul territory with a chorus that would make Gamble and Huff proud. “Somewhere Quiet” is reminiscent of “Surfer Girl” musically, and features another strong vocal from Brian. It sounds to me like Al on the song’s lovely bridge sections, but if it is, he’s not credited. “I’m Feeling Sad” is Brian giving us a wistful look at a Sunday morning, with a recitation of the things he’s doing to try to avoid missing a loved one who is away. “Tell Me Why” is another sorrowful look back at lost love. Brian leads on the verses, and this time Al jumps in on the powerful choruses. “Sail Away” is Brian paying homage to, well, Brian. From its opening riff, this song is something of an update of “Sloop John B.” The song gives Brian a chance to bring Blondie Chaplin, who did such a great job on “Sail On Sailor,” back into the fold, and Blondie does not disappoint. The musically adventurous “One Kind of Love” features another strong vocal from Brian, and another remarkably catchy chorus. When the various guest stars were announced for Brian’s latest project, the bitching started immediately among his fans. Why did Brian Wilson need to collaborate with pop chanteuse Zooey Deschanel, country singer Kacey Musgraves, Nate Ruess of fun., or synth-popper Sebu Simonian from the band Capitol Cities? You would think that his fans would trust Brian by now. My theory is that working with these artists allows Brian to experiment in different genres, to break out of the box so to speak. Are we really going to begrudge him that? Nonetheless, these will be the most debated tracks on the album because considering only the tracks that feature Brian, or Brian along with the other ex-Beach Boys, No Pier Pressure is unimpeachable. “Guess You Had to Be There” is a fun, country-flavored track that features Kacey Musgraves. One of my favorite Brian Wilson songs is “Cabinessence,” and it’s kind of good to hear the banjos back. “Runaway Dancer” is the four-on-the-floor electro-pop stomper featuring Sebu. This is a very different style of music for Brian, and I’m still undecided about it. The remaining guest star track is the endearing “Our Special Love” which features singer/songwriter Peter Hollens in a beautifully sung duet with Brian. Brian knows how to close an album in powerful style (think “Caroline, No), and No Pier Pressure is no exception. It has to give pause to any Brian Wilson song when they see “The Last Song” as the title of what is in fact that last song on No Pier Pressure. The meaning of the lyrics will certainly be discussed, but after multiple listenings it seems to me that “The Last Song” is a mournful, heartbreaking farewell to the Beach Boys, with a special nod to Brian’s lost brothers Dennis and Carl. There’s never enough time for the ones that you love. This is a song from a man who knows that his time, all of our time, is limited, and who knows, finally, what is really important in life. If your heart doesn’t break into a million pieces when you hear “The Last Song” perhaps you should check your pulse. Somewhere, another original and current Beach Boy who shall remain nameless is kicking himself. Brian originally intended No Pier Pressure to be a Beach Boys album, but when events unfolded as they did following the 50th anniversary tour he decided to make it a solo record. This album certainly could have provided another triumph for the Beach Boys. 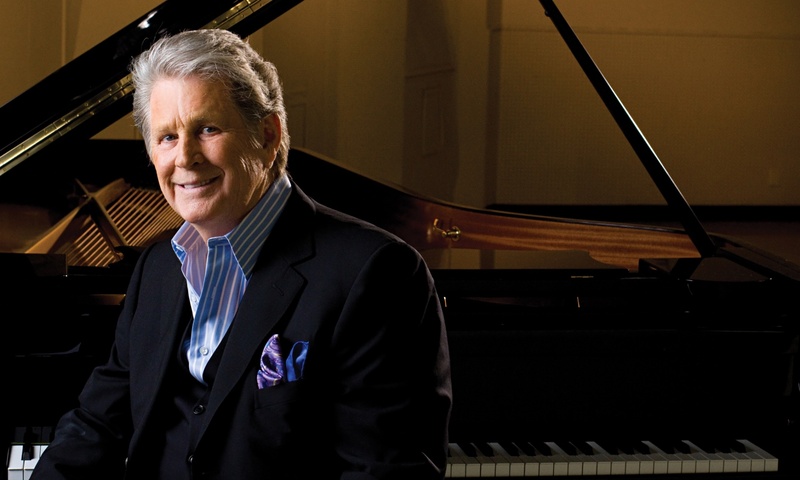 As it is, No Pier Pressure is yet another landmark in the storied, and apparently unstoppable career of Brian Wilson.